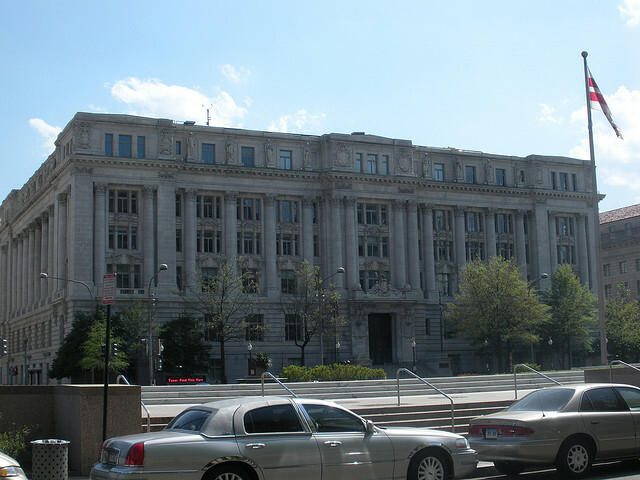 “Mayor Vincent C. Gray and the D.C. Council announced today that the District’s city hall, the John A. Wilson Building, will go red in support of the Washington Nationals’ Major League Baseball playoff run. Beginning tonight, Wednesday, October 1, the District will illuminate the building with red exterior lighting for as long as the Nationals remain in the playoffs. Mayor Gray and the D.C. Council turned the building red the last time the Nationals were in the playoffs in 2012.